Old outhouse used by some families - To help conserve water in the house and avoid having to carry water into homes for use in toilets, some families used outhouses. For 48 years residents of the Coal Run neighborhood of Zanesville, Ohio - a former coal-mining center and a primarily black community of about 25 homes - fought tirelessly to get water service from the city. In 1956, the city built a water main that ended just short of the neighborhood, a water main from which the county Water Authority built new water lines and expanded service to surrounding areas. In 1999, a lifelong resident of Coal Run, who discovered that her white neighbors’ request for a water hookup had been approved began arguing for equal rights - attending city council meetings, lobbying government officials, and talking to other black neighbors . Residents could not drill a well because of contaminated water from the closed surrounding coal mines that have leached sulfur into the groundwater. They were forced to pay to have water trucked in or catch the rainwater from their gutters. Most built large cisterns to hold water, although these were a constant source of worry due to sitting water that attracted a variety of insects, rodents, and other unwanted pests that would ultimately die in the water. One resident remembers a time when a visitor said, “Your water tastes like it has a dead rat in it” and when he went to check the cistern found two dead rats in it . Because of limited water, families shared bath water, reused dishwater, and limited their use of available water for drinking . While Coal Run is not technically within city limits, neither are several surrounding white communities that have had access to the municipal water supply since the line was installed in 1956 . In 2002, the Ohio Civil Rights Commission (OCRC) and 67 Coal Run residents filed a lawsuit claiming racial discrimination and shortly after, Muskingum County decided to bring water to the residents of Coal Run laying the last of the pipelines by January of 2004. 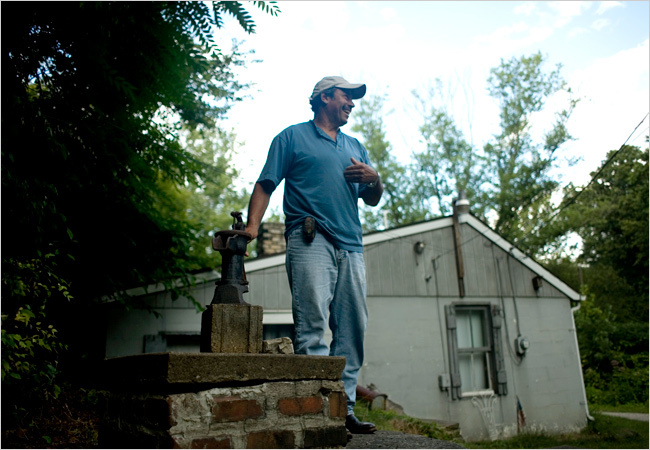 By late 2004 and early 2005, water began flowing to the neighborhood, however the legal battle dragged on for four more years . 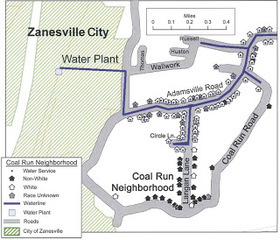 The U.S. District Court found that failing to provide water service to the residents violated state and federal civil rights laws  and in July of 2008, the District Court of Ohio awarded the neighborhood $10.9 million, to be distributed to residents based on how long they had been living in Coal Run. The city, the county, and the Water Authority continued to deny any discrimination and claimed the lack of water in Coal Run was due to a lack of demand . For residents, the court victory, the water lines, and the checks they received did not result in a giant celebration because, they say, “You don’t celebrate something that was supposed to be all along” . Why? Explain briefly. Yes, the community was able to work with a third party organization (Ohio Civil Rights Commission) and obtain the water access that was available to all of their white neighbors. They also won a discrimination suit that provided them with compensation for the burdens they had endured, which allowed each defendant to receive between $15,000 and $30,000 in compensation. In 2008, the residents of Coal Run were given access to public water. 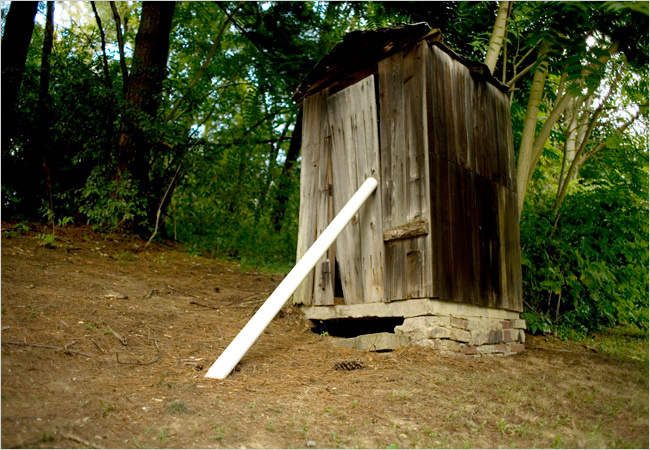 Old outhouse used by some families To help conserve water in the house and avoid having to carry water into homes for use in toilets, some families used outhouses.